South Africa will include seven non-white players in 23-man match squads in the run-up to the 2015 Rugby World Cup, the national rugby body has announced. The commitment is part of plans for radical racial transformation in the traditionally white sport, which aims to have non-whites making up half of all domestic and national teams by 2019. At least two of the seven non-whites in the 2015 squads must be black Africans, the South African Rugby Union (SARU) said on Tuesday, distinguishing them from players of mixed race who have long played a role in Springbok teams. Including seven non-whites will be a challenge for Springboks coach Heyneke Meyer, though, because were he to pick a starting XV now it would probably include only one black African and two mixed race players. That would mean four of the eight replacements having to be non-white. 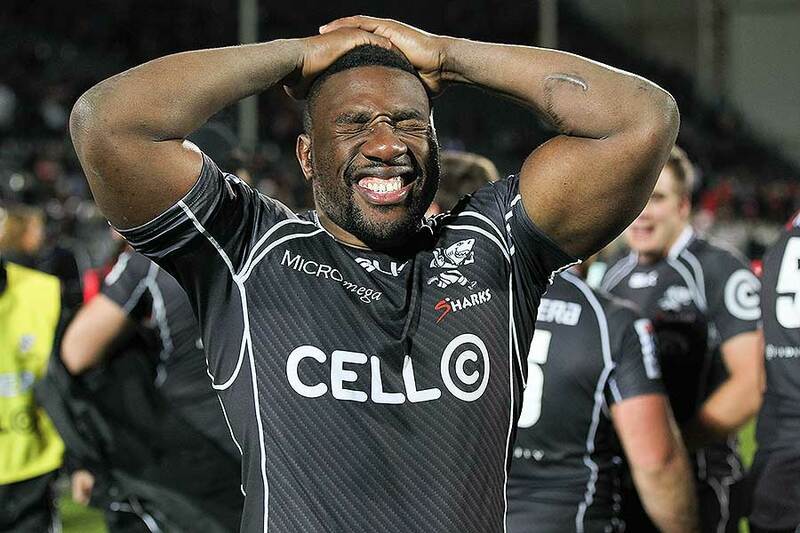 Zimbabwe-born black African prop Tendai 'The Beast' Mtawarira has been a long-serving first choice, but is injury prone. 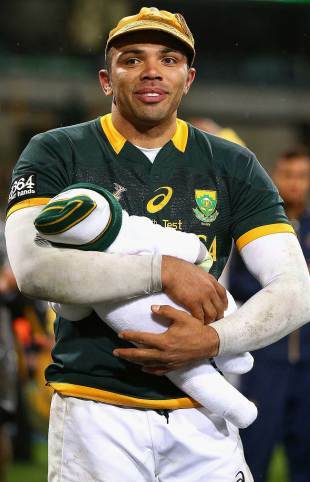 And both wings, including 2007 World Rugby Player of the Year Bryan Habana, are traditionally mixed race players. A second black African, flank Teboho 'Oupa' Mohoje, made a number of appearances for South Africa last season, but got his chance after injuries to first choices Willem Alberts and Francois Louw. SARU CEO Jurie Roux stressed at a news conference in Cape Town that the "Strategic Transformation Plan" was not a quota system, but said he was confident the targets would be reached. "We understand that, and we also understand that it is also unfair to put that pressure on the Springbok coach without offering him any assistance - his teams can only reflect what is going on at the elite end of the domestic game." Roux said rugby had already been "massively transformed" in the 20 years since the end of apartheid, when rugby was played almost exclusively by whites and blacks tended to play soccer. "The simple facts are that the majority of rugby supporters and players - at schoolboy and club level - in South Africa are black; 84 per cent of this country's under-18s are black African - and we want them in our game in some way." Apart from the Springboks, the target of 50 per cent black representation by 2019 would apply to national sevens, youth and schoolboy teams and to the Currie Cup, the national inter-provincial rugby competition and a breeding ground for the national team. The transformation plans - first revealed unofficially last year - come amid growing unhappiness with Meyer for recalling veteran white players last year rather than giving emerging black Africans a sustained chance.